White Desert Egypt is one of the most frequently visited places in western Egypt. Its surreal rock formations, and truly white sands offer a stunningly stark contrast to the yellow desert. The rocks take on tints of blue, pink and orange as the sun sets, and at night the sands resemble snow. Apart from the heat, it could easily be mistaken for an Arctic landscape. 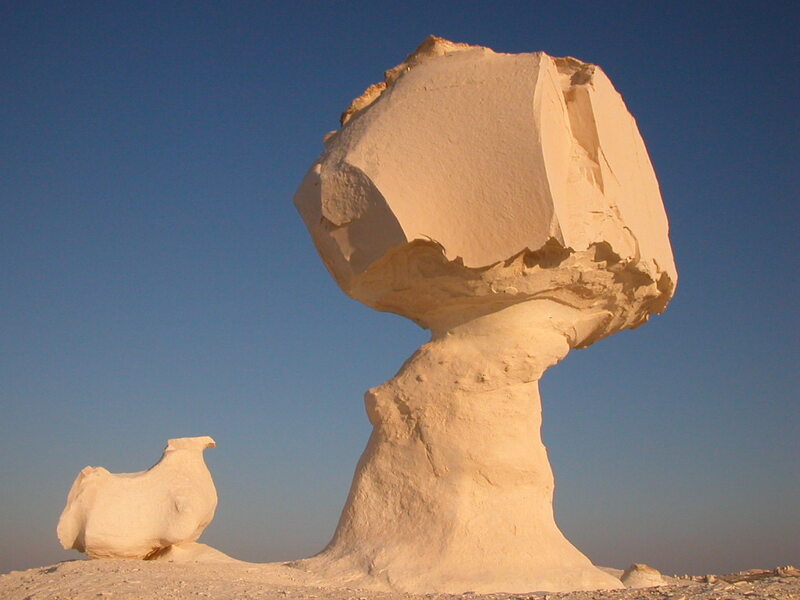 The rock formations in White Desert Egypt, composed of a combination of chalk and limestone, were created by wind erosion. They consist of various organic shapes, sometimes defying the laws of nature and gravity, with enormous rocks perched precariously on particularly thin bases.